16 February 2018 – Life Is Such A Sweet Insanity. One of the things I love about living in a large city is the availability of public transit. Earl and I live well within reach of one of the CTA “L” lines, specifically the Brown Line. We can be downtown in less than a half hour. We can be at Jamie and Chris’ house in Albany Park in less than 20 minutes. 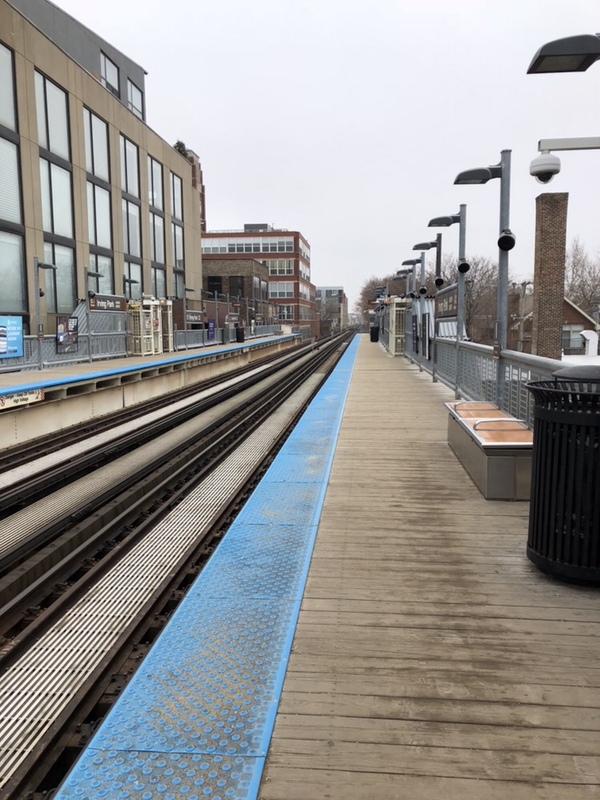 However, it does take us over an hour to get to O’Hare by train, as we have to go to the Loop, transfer to the Blue Line, and then ride all the way out to O’Hare. That part hasn’t ever really made sense to me. When we decided to move to Chicago I declared it was my intention to use public transit or walk as much as possible. I’d take the train, take a bus, or enjoy the walk anywhere my feet would take me. If the train doesn’t go where we want to go, I always suggest Lyft before driving. I like to save the driving for places outside of the city, like when I go to Chicago Executive Airport to fly or something. Everyone else in the family is more apt to drive. It’s not that I don’t like driving; I love driving, even in the city. It’s just that it seems so un-city like to drive everywhere, especially to places where public transit is a very valid option. I’d rather deal with a drunk on the train than city in traffic on the Kennedy for an hour just to go three miles. I think public transit is the wave of the future. Making a city realistically easy to navigate via train, bus, or as a pedestrian seems to be the way to go. And this is coming from a guy who’s dreamed of designing roads all his life.